The Economically Important Diseases of Asparagus in the U.S. Fig. 18. 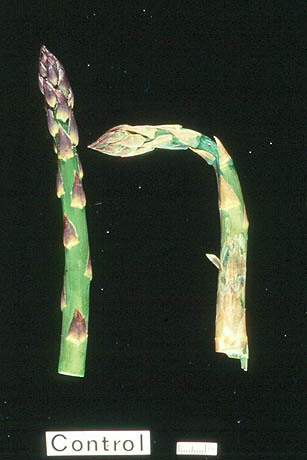 Healthy asparagus spear and spear infected with Phytophthora rot (courtesy of R. Mullen).